Cubase music software has been around since 1989 by German musical software company Steinberg. The idea was to help with recording and arranging music. I remember using early versions of Cubase when I was even studying music in the early 90’s. Thee ability to create scores and record thoughts took me to a whole new level with my music. If it wasn’t for Steinberg Cubase, we wouldn’t have many features for recording, including the Virtual Studio Technology (VST). Fast forward to 2017 and Cubase is continuing strong with Cubase Pro 9 series. More gearing toward the laptop with touchscreen capabilities, this ninth symphony of software geared toward incorporating enhancements the customers needed to make the software work for them. Greg Ondo shows me the features at winter NAMM 2017. Zoning – The first new feature is a lower zone that enhances workflow. If you are on one screen, the lower edit zone can be easily hidden and brought back with hotkey Alt-Ctrl-E. Many different zones can be brought up and hidden. You can even select a section and instantly see the zone. Sampler Track – Take any audio and simply drag it in. You can bring it in, edit, and create a sampler track without issue. Mixer History – If you pull the wrong fader at the wrong time, you can easily undo it through the history option. You can even scroll back through time and compare your changes. Updated Plugins – Greg showed us one great plugin called “Frequency”. This EQ allows you to adjust manually, or simply choose a chord to which the plugin will set up a default EQ. Audition mode allows you to hear only the particular frequencies so you can isolate and adjust. 64-bit only – If you are using 32-bit VST plugins, you won’t be able to bring them over to Cubase Pro 9. I even have some old plugins I use religiously, but with time, I’ll eventually have to drop so I can create better sounding projects and keep my computer working optimally. Cubase Pro 9 is $579, but you can get a more stripped down version in Cubase Elements for $99.99, and Artist for $329.99. 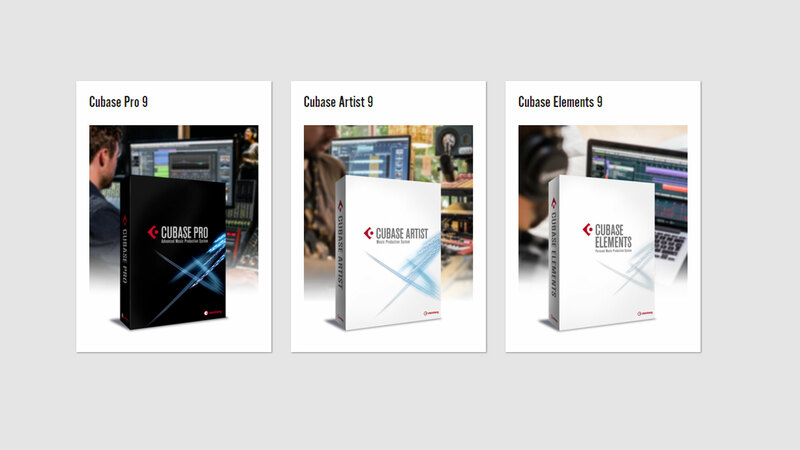 For more information, check out Steinberg Cubase Pro Website.